Come for the first FREE public screening of the 'Ubin, Sayang' at Sentosa on 17 Mar (Sat) 3-4pm (with FREE admission to Sentosa*). This gorgeous film by Rachel Quek and her team features R.U.M. and the people of Ubin. 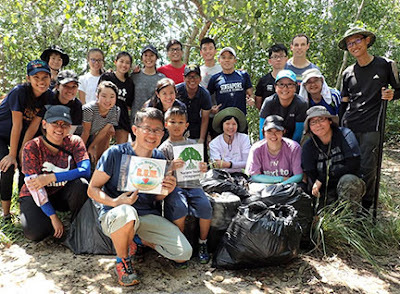 'Ubin, Sayang' traces the journey of Xiao Ting as she learns from the stories of mangrove restoration and kampong living. In the context of modern Singaporean nostalgia for the kampong, the film brings together different perspectives on what the kampong spirit truly entails, and discusses its implications for us today. Join Lisa Lim and volunteers from R.U.M. and Nature Society Singapore, Marine Conservation Group to clean up this site before we start restoration.